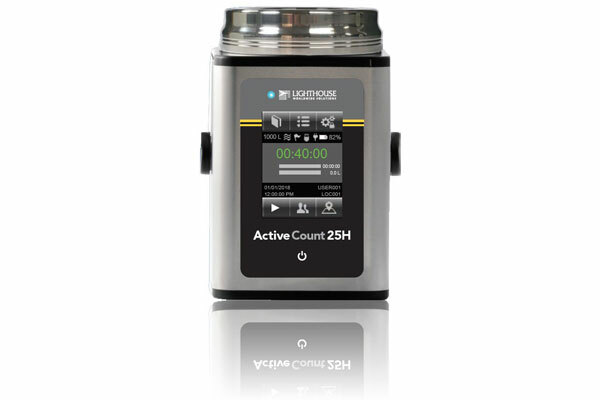 Lighthouse Worldwide Solutions have recently released a NEW ActiveCount 25H model. This unit is a high performance portable active air sampler suitable for use in cleanrooms and aseptic environments. The ActiveCount 25H is truly ISO 14698 compliant with a d50 collection efficiency of 1 micron and HEPA filtered exhaust port designed to avoid re-aspiration of sampled air. The ActiveCount 25H offers self-adjusting flow control to ensure accurate sampling as well as continuous & periodic sampling modes for optimum sampling flexibility. The autoclavable impactor head, dust cover and removable magnetic baseplate together with a sanatizable stainless steel enclosure and HEPA filtered exhaust, ensure ActiveCount 25H will not contaminate your critical environments.